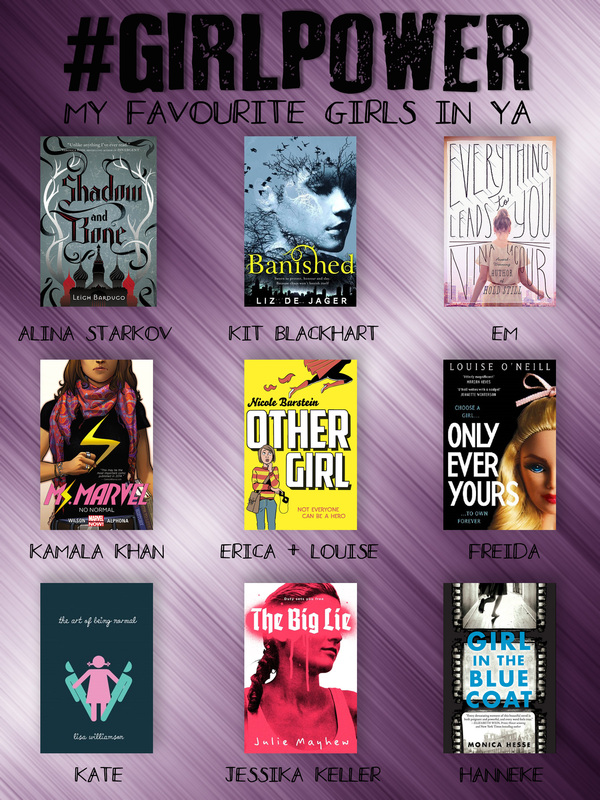 It’s ALWAYS a good time to highlight some of YA’s amazing female characters! I could literally spend the rest of my life blogging about the many protagonists I have fallen in love with, because there are so many. YA fiction will always be special to me, as it’s such an incredible place to discover memorable characters that break boundaries and norms. So, here’s a lil’ infographic of just a few of my favourite characters in YA Some of them are very well known and loved, whilst some are totally underrated and deserve all the attention. Enjoy! So, who are your favourite girls in YA? Leave a comment! 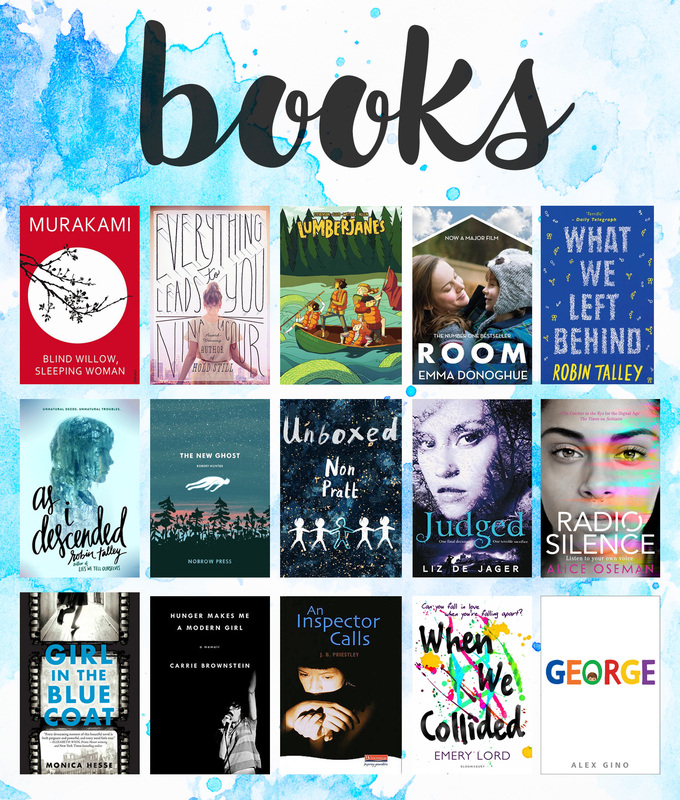 This entry was posted in Infographic and tagged book recommendations, feminism, girlpower, girls in ya, infographic, ya fiction, young adult literature on September 28, 2016 by Gee. 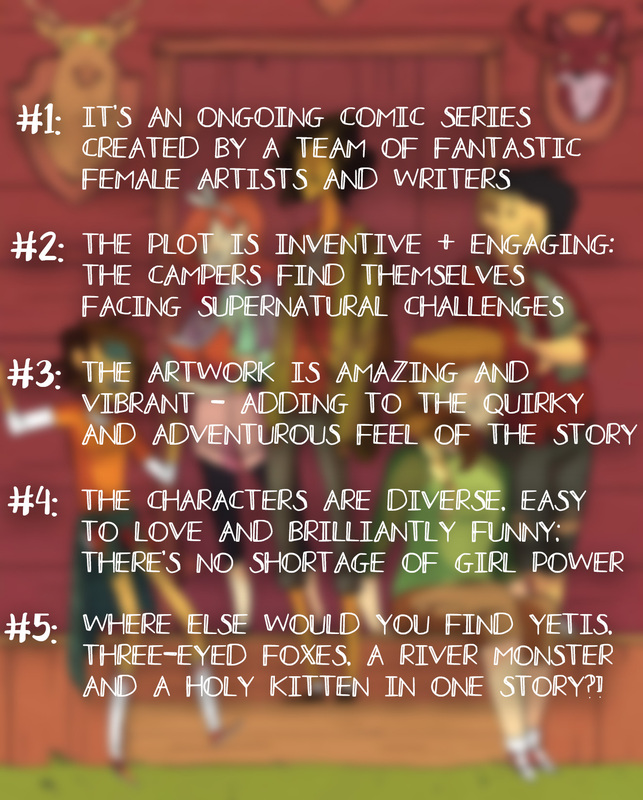 It occurred to me a while ago that, despite Lumberjanes being one of my favourite comic series ever, I hadn’t talked about it on this blog! I have no idea why. I love this series, and the five campers, to bits. No matter what you are, or what age you are; if you’re looking for any comic book series to start, I’d mention this first. It’s such a brilliant, unexpectedly hilarious and riveting adventure, made ten times better by the fact that it promotes positive female friendships and girlpower. 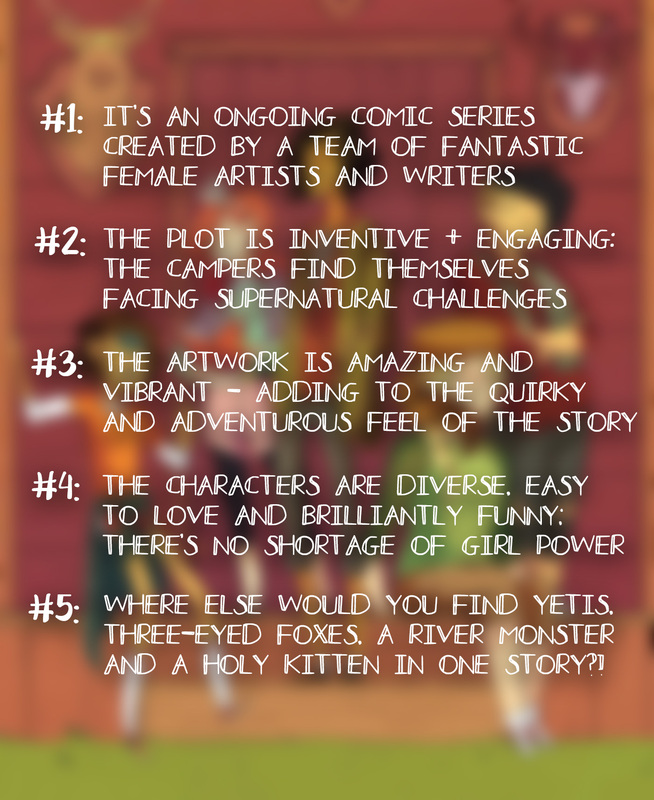 This entry was posted in Infographic and tagged adventure, book rec, brooke allen, comics, ecommendation, friendship, girl power, grace c ellis, graphic novels, lumberjanes, mystery, reasons to read, shannon waters on August 24, 2016 by Gee. Sorry about the internet absence. There hasn’t been a post on here in three weeks. Welp. 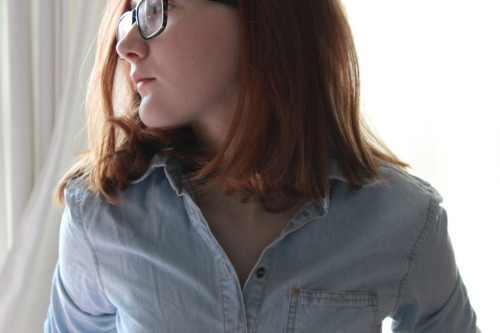 A lot of bloggers are very good at timekeeping and balancing different things in life … But it turns out I’m not very good at keeping up to date with blogging during my GCSE year. I actually wrote most of the posts you’ve seen since September during August! I hope that over the Christmas holidays I can start scheduling for the new year, so I don’t neglect this blog too much over the next six months. As an apology for the random disappearance, here’s an infographic I’ve been working on between revision sessions. Click on it for a high res / larger version you can zoom in on, if the writing appears too small on your screen! 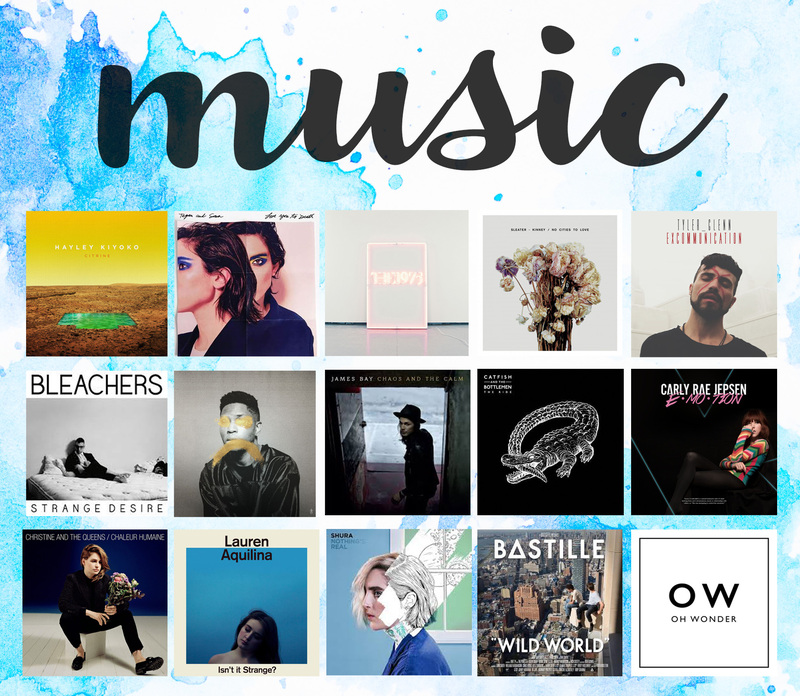 This entry was posted in Infographic, Uncategorized and tagged a work in progress, amy poehler, autobiographies, autobiography, binge, book recommendations, book recs, connor franta, infographic, liz prince, memoir, memoirs, nancy tucker, recommendations, spectacles, sue perkins, the time in between, tomboy, tyler oakley on December 9, 2015 by Gee.